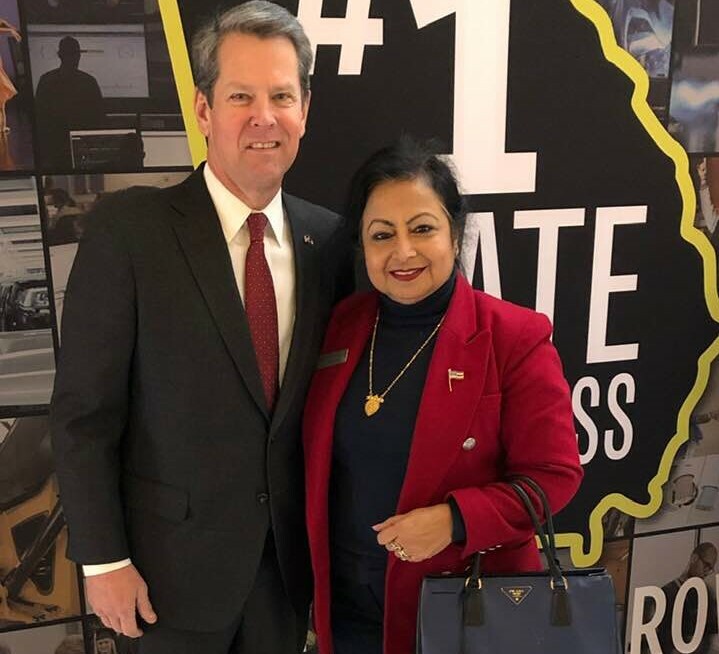 Atlanta, GA, February 7, 2019: Indian-American attorney, Neera Bahl was among the 25 Georgians appointed by Governor Brian Kemp to the Judicial Nominating Commission (JNC) today. The JNC will make recommendations to the Governor to fill vacancies in state, superior, and appellate courts in Georgia. Mark Middleton, Vincent Russo, and Shannon Wallace will serve as Co-Chairs of the Commission, with Russo serving as Administrative Co-Chair. Neera Bahl started her legal career when she joined Dixit & Youn, LLP as an associate in 2005. Thereafter in 2007, she became a name partner in the firm changing the firm name to Dixit, Youn, & Bahl, LLP. In April 2009, she founded Neera Bahl & Associates (now One Path Legal) for her independent practice of law. Earlier, Ms. Bahl interned at the Jimmy Carter Center (Human Rights Division); worked as a Constituent Representative for U.S. Rep. Denise Majette (GA Dem. ’04-’05), focusing on immigration issues; and served as law clerk for Fulton County Superior Court Judge Honorable Gail S. Tusan. Licensed in Georgia, she received her J.D. from John Marshall Law School – Atlanta (2000). Prior to that, she served as a Sr. Research Specialist for 16 years at the Emory Univ. Dept. of Dermatology, and for 5 years at the Univ. of Alabama. She received her M.A. in English from Punjab University, India (1979); B.Ed. in Psychology from D.A.V. College, India (1977); B.S. in Chemistry & Biology from D.S. College, India (1976). The is the current president of U.S. Pan Asian American Chamber of Commerce-South East Chapter (USPAACC-SE) and sits on the board of several organizations.